In the middle of North America exists a beautiful and mysterious land, left untouched for millions of years by massive continental glaciers of the last Ice Age. 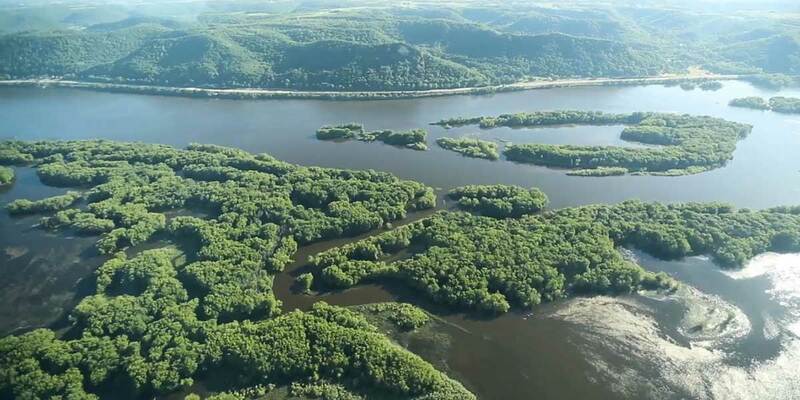 This is the Driftless — a rugged landscape home to tremendous biodiversity, fascinating geology, and features unique in the world. Take a breathtaking flight over ancient, scenic bluffs, dive into cold-water trout streams, rappel down precipitous and rugged rock faces, venture deep into ancient caves, explore mysterious underground rivers, and enjoy the magnificence of the massive Mississippi River ecosystem. It’s all waiting for you in Decoding the Driftless. All Content Copyright 2019, Driftless Film Festival. All Rights Reserved.